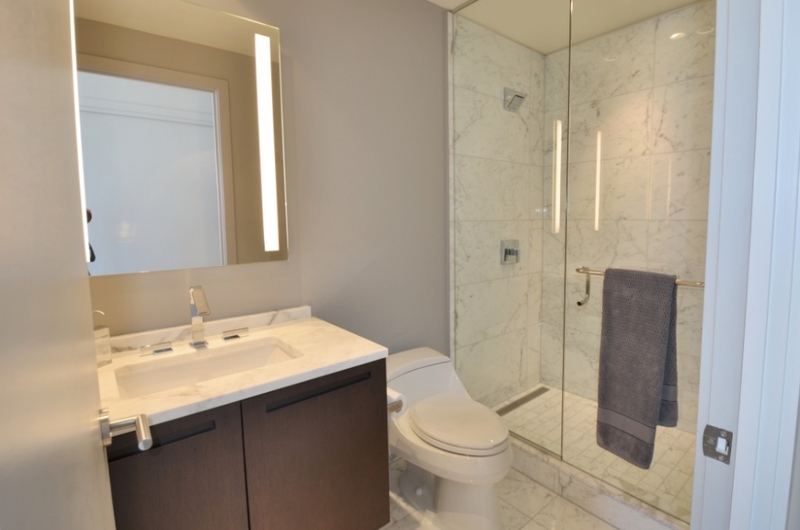 Bed: Two & Den • Bath: Two Full & One Half • 1,800 Sq.Ft. 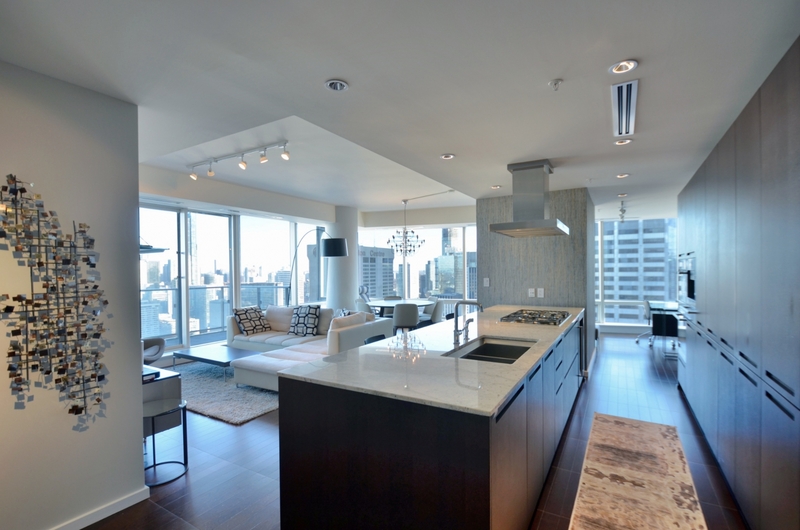 Fill out the form for more information on this property or to set up a private viewing. 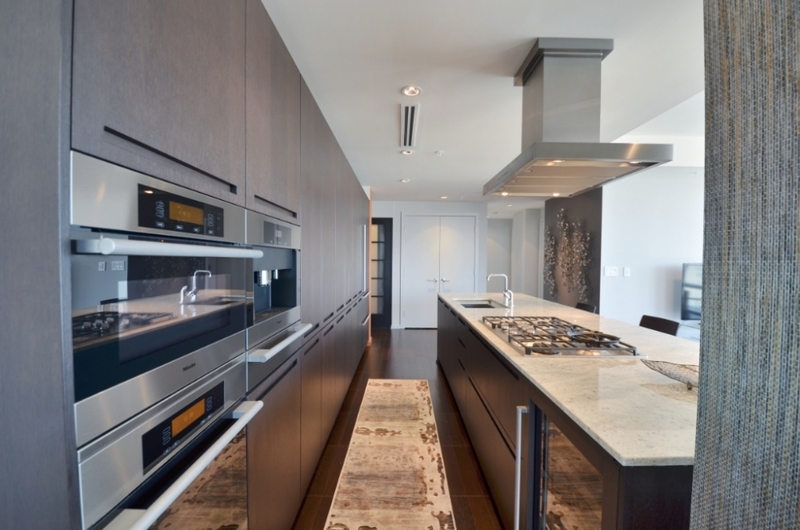 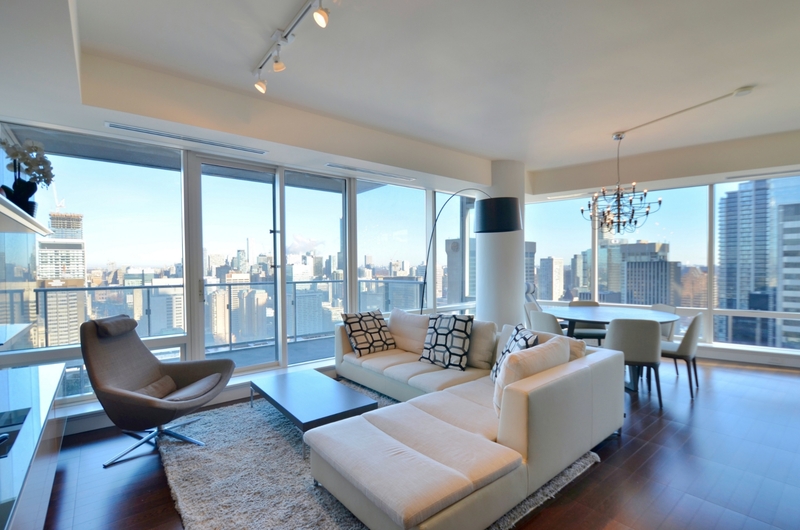 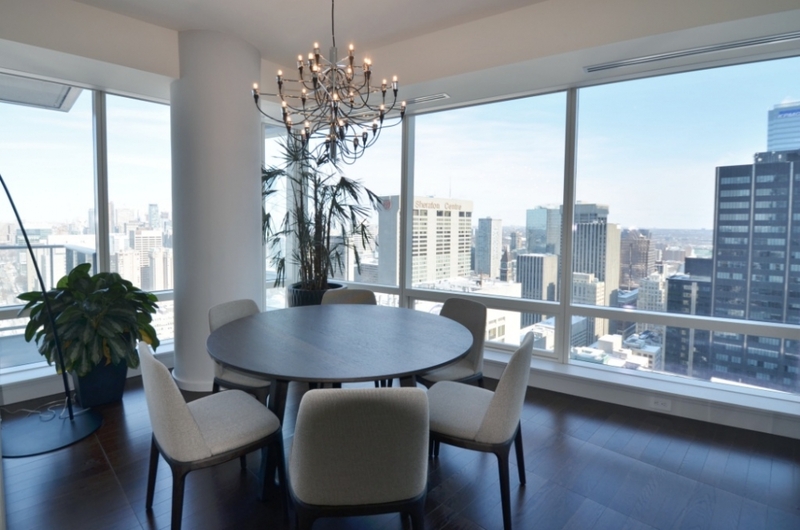 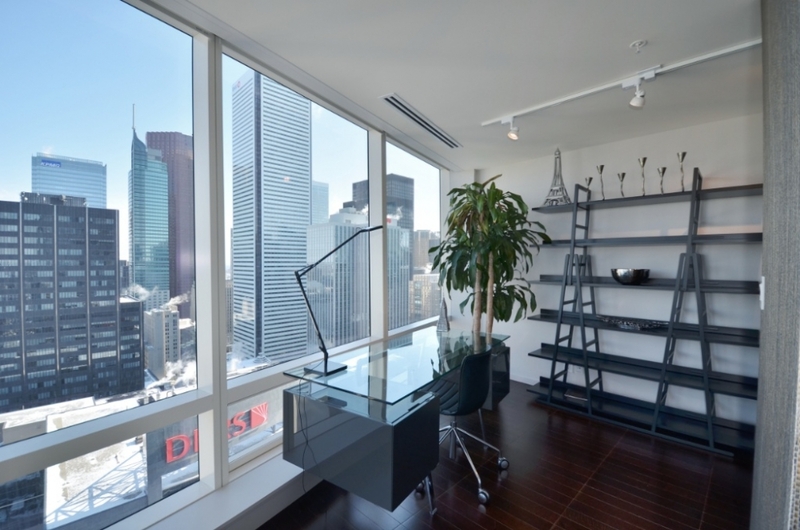 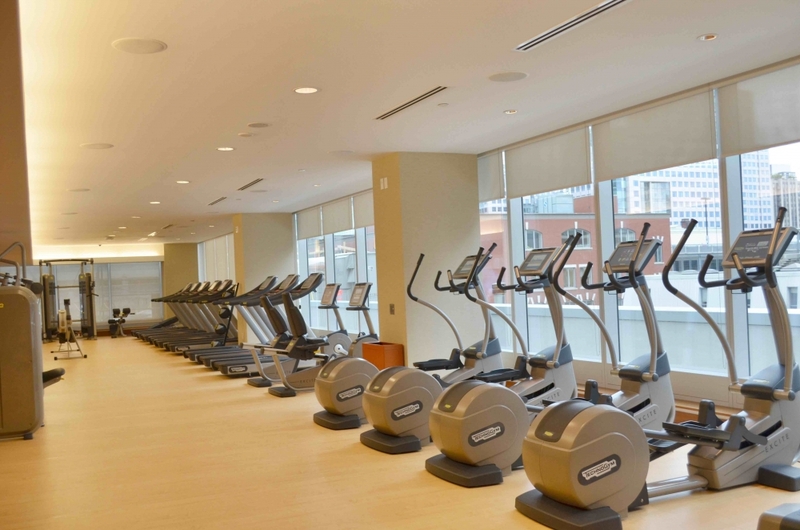 Located on the 40th floor of Shangri-La Toronto this 1,800 sq.ft. 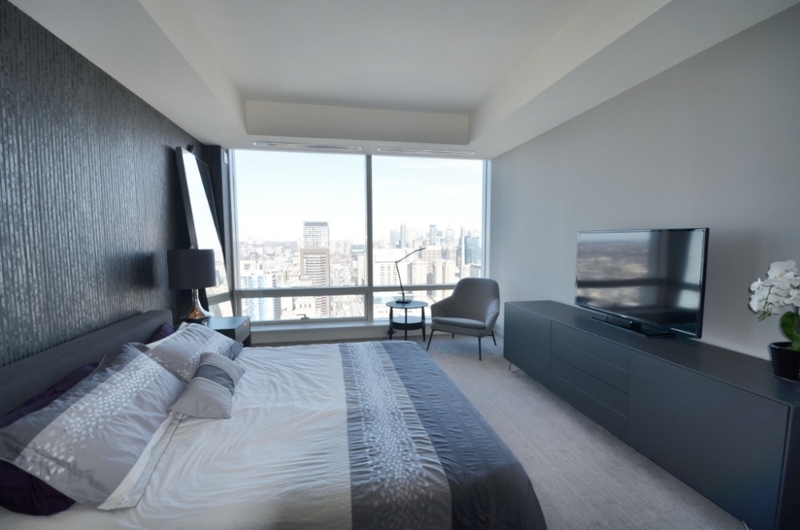 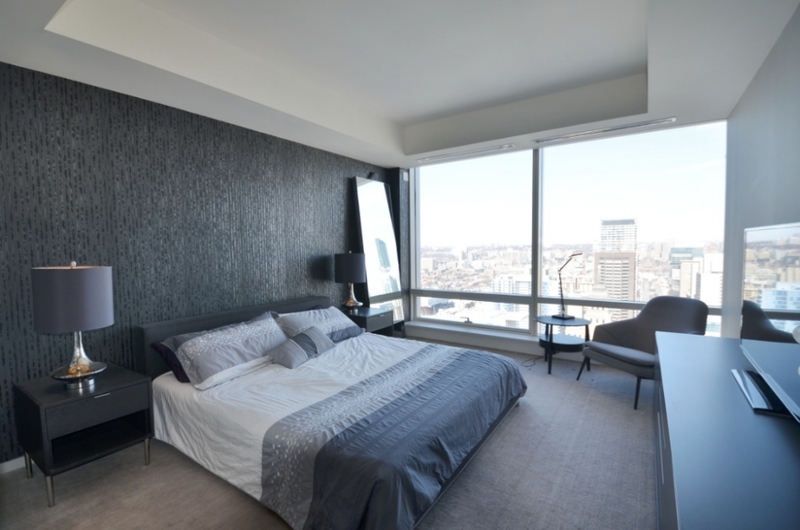 two bedroom and den suite offers the very best in luxury living. 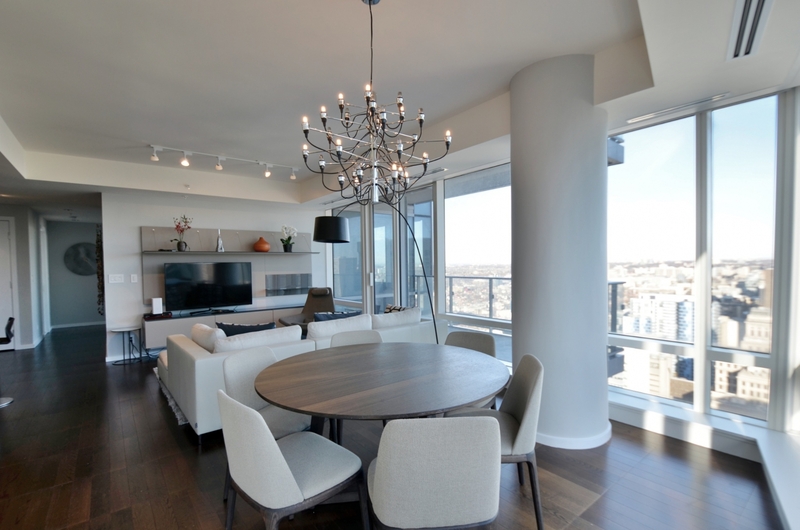 The suite has been fully furnished with top-of-the-line modern Italian furniture as well as being professionally designed and decorated. 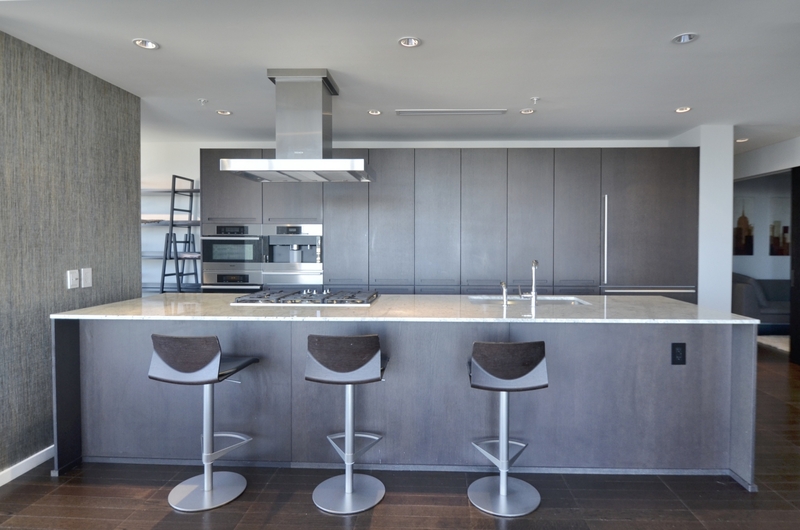 The suite features a beautiful Boffi designed kitchen fitted with Miele and Sub-Zero appliances, built-in coffee maker and a separate wine fridge. 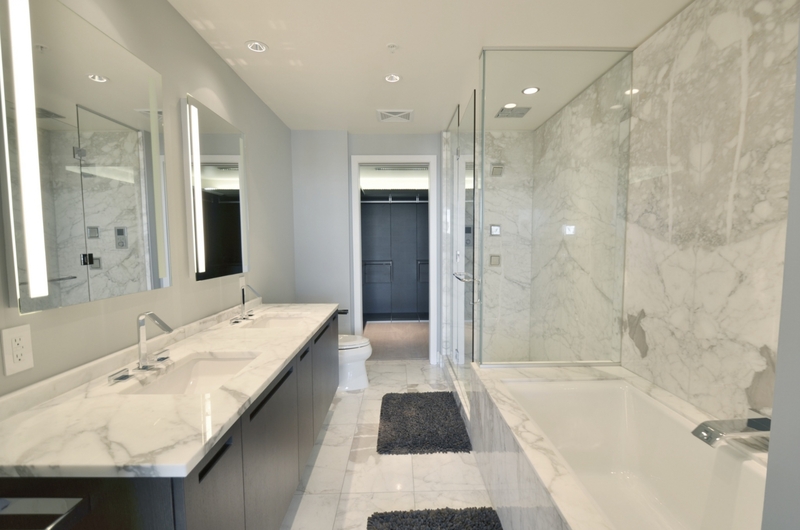 A spacious master bedroom is complete with a five-piece marble walled ensuite with heated flooring and a large walk-in closet with built-in shelving. 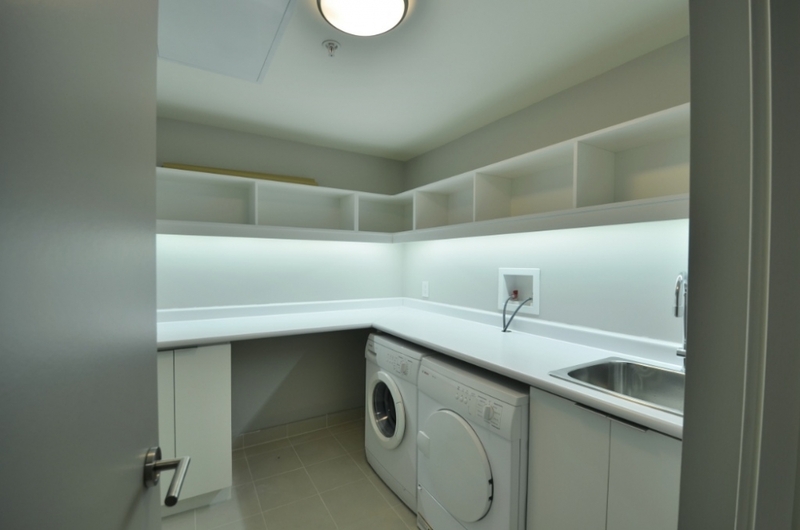 The second bedroom is also has a three-piece ensuite washroom and double closets. 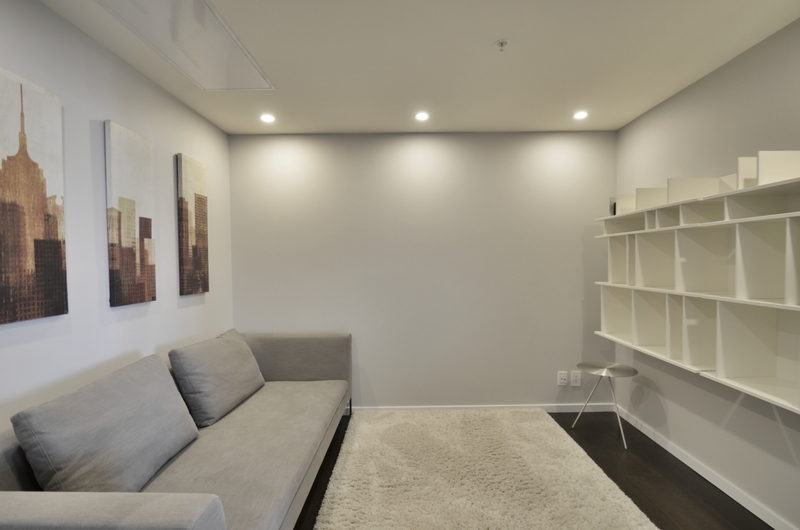 The den is set up as a private sitting area but can easily accommodate a home office or third bedroom. 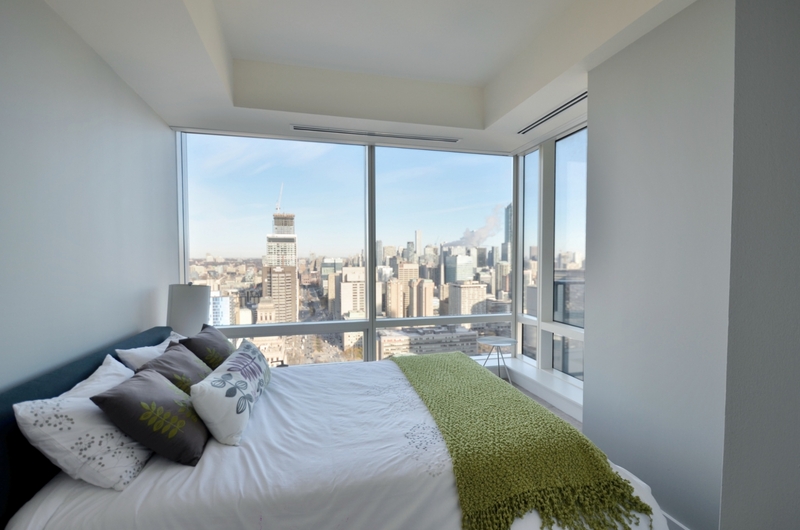 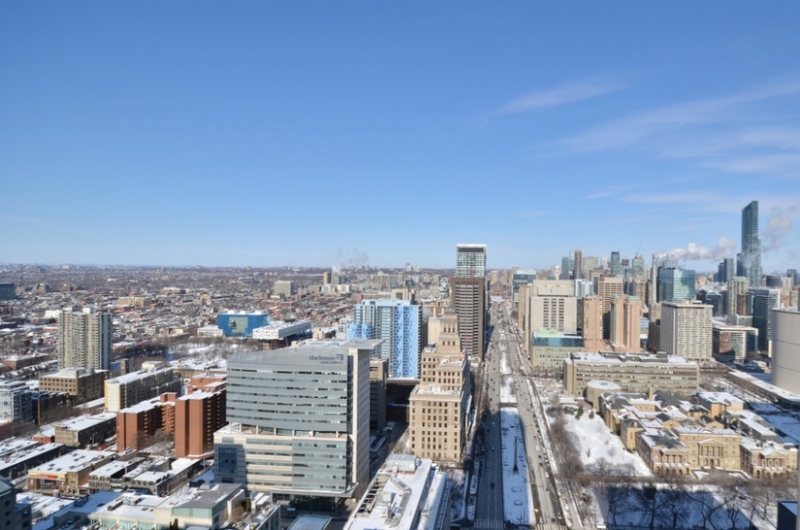 Situated on the northwest corner the suite offers spectacular unobstructed views up University Avenue. 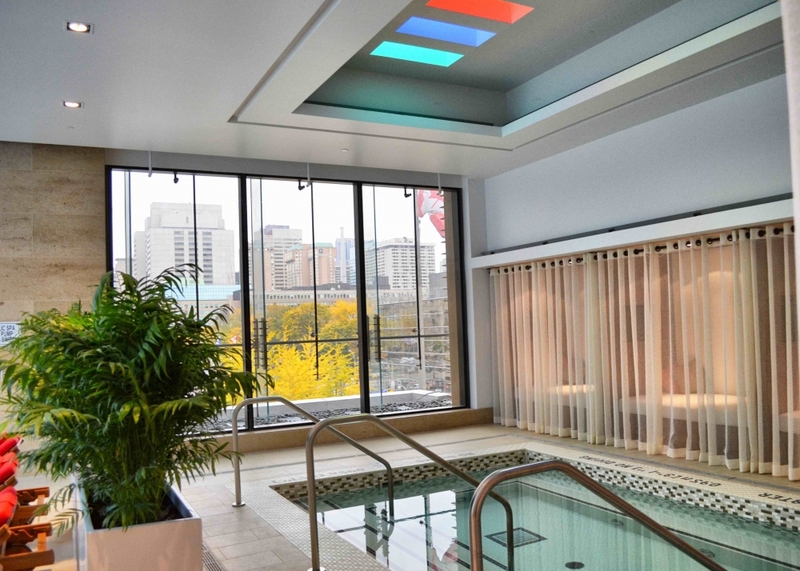 Living at Shangri-La offers access to all of the five-star amenities of the Shangri-La Toronto Hotel below. 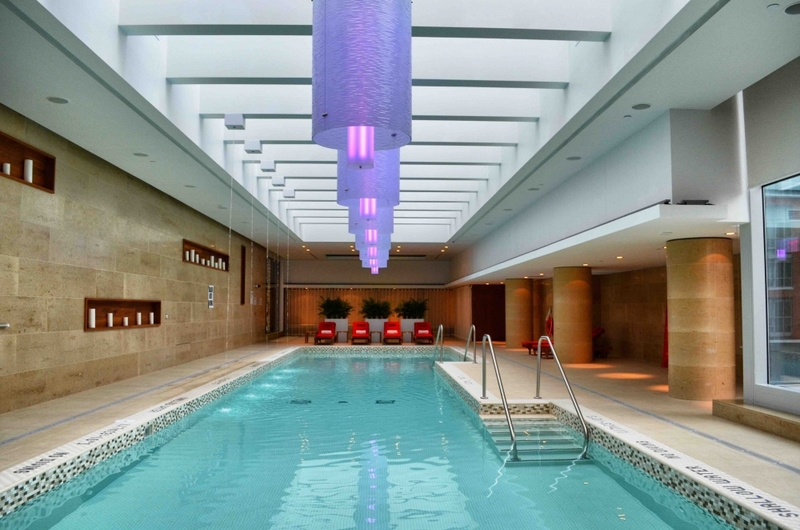 A professional fitness centre, indoor pool, hot tub and sauna are all located on the fifth floor along with the Miraj Hammam Spa by Caudalie Paris.